Cassette only, in a limited edition of 500 copies. When a recording is made underwater, you will definitely hear the crackling noise of what might be a creature from the order of Decapods. When recording on the coast of Norway, for example, this sound is what you are very likely to hear as soon as the ferries and motorboats have parked for the night. They seem to be everywhere, whoever it is making this sound. When you go for a swim and listen underwater you can even hear them. But who are they? The pistol shrimp, or snapping shrimp, make this kind of sound, but they are not found in waters as far north as the Norwegian coast. In Thailand the same sounds can be heard in the freshwater River Ping. Quick: What’s the creepiest sound you’ve ever heard? 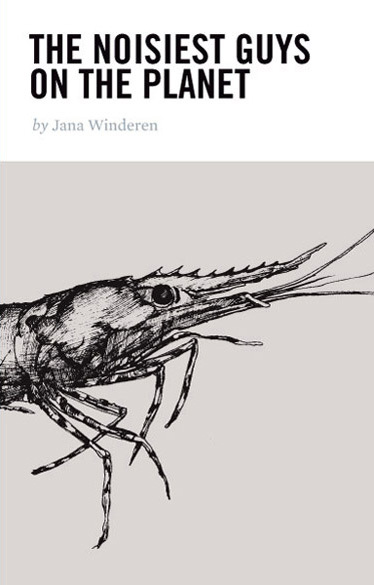 Whatever it is, it’s got nothing on Jana Winderen’s 2009 recording of decopods scuttling about on the ocean floor off the coast of Scandinavia. Decapods—the order of ten-legged crustaceans that includes lobsters, shrimps, and crayfish—use as many as half of their appendages to paralyze and dispatch prey or, more often, to pick at the crumbling remains left behind by larger sea predators, a fact that only amplifies the grisliness suggested by the muculent chatter heard on The Noisiest Guys on the Planet. Like Roger Payne and his whale-song recordings, Winderen used sensitive hydrophones, lowering them hundreds of feet into the sea to capture the briny clamor with chilling clarity. DID YOU KNOW: Winderen was awarded the 2011 Golden Nica—the Grammy of digital sound art; past recipients include Peter Gabriel and Aphex Twin—for Energy Field, a CD in which her decapods figure prominently.